Antibiotics were developed to help our bodies fight infectious disease. Paradoxically, however, their widespread use in recent decades has actually weakened our own defenses against infection. Our immune system evolved to prevent and resolve most routine infections without any external assistance. Yet the prevalence of antibiotics in our everyday lives—in medicine, food supply, cleaning agents, and environment—has gradually impaired this function, turning some of the simplest, run-of-the-mill infections into untreatable conditions. One of the main factors contributing to this phenomenon is the rise of antibiotic resistance in our world. Antibiotic resistance occurs when bacterial pathogens evolve to avoid being killed by the drugs. They then cannot be easily eliminated, posing a serious health threat to the human host. Recurrent childhood ear, nose, throat, sinus, and upper respiratory infections, for example, have become so common and recalcitrant to conventional antibiotic treatment that surgical interventions (tonsillectomy, tympanostomy, or sinus surgery) are now among the most common childhood surgeries and considered a standard of care. Another significant factor is the antibiotics’ direct effect on our bodies. Most antibiotics generate strong anti-inflammatory effects that suppress neuroendocrine and immune pathways in the body. This may relieve your symptoms and make you feel better, but at the same time, it impairs immune function. 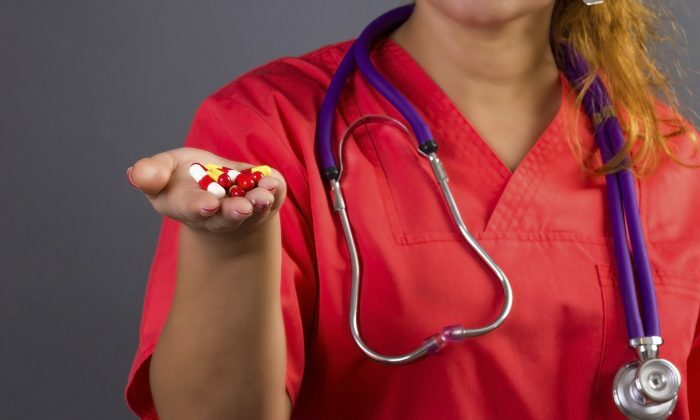 “Successful” antibiotic treatment, by definition, means that your immune system was unsuccessful in completing the task of responding to an infection and establishing long-term immunity. This is why many patients eventually experience a recurrence of the same or similar condition after treatment. Suppressing inflammation comes at the expense of suppressing the immune system, which weakens the body’s innate defenses and increases its susceptibility to more invasive, recurrent infections. This price may be perfectly reasonable in life-and-death situations, where the immediate benefit of saving a life outweighs the risks associated with these drugs, but not for routine “bread and butter” infections that can be resolved through alternate means. The use of antibiotics has been linked with a wide range of chronic conditions beyond simple recurrent infections, such as allergies, asthma, diabetes, obesity, heart disease, inflammatory bowel disease, autoimmune diseases, and even cancer. Early-life administration of antibiotics can be especially damaging. By altering the ecological balance between the immune system and the internal microbiome, antibiotics can permanently weaken the body’s ability to resist illness. A study of 13,116 children, published in 2007, found that antibiotic use in the first year of life increased the risk of developing asthma by age 7. “Independent of well-known asthma risk factors, asthma was significantly more likely to develop in children who had received antibiotics in the first year of life at age 7 years. … The risk of asthma was highest in children receiving more than four courses of antibiotics,” the researchers reported. Another study, published in the American Journal of Epidemiology in 2011, found a similar link between antibiotics and childhood allergies. Research reported in the journal Archives of Dermatology in 2012 also showed that antibiotics used to treat or prevent acne in adolescents tripled the risk of developing subsequent upper respiratory infections. The mechanism by which antibiotics cause this host of medical issues is tied into our growing understanding of the human microbiome. This frontier of medicine has opened up a new doorway into our understanding of health, and has enlightened us to some of the serious, lifelong risks of indiscriminate antibiotic use and misuse. These drugs were designed to kill bacteria and should never be used to treat viral infections. Furthermore, research and clinical experience have shown that most acute infections—such as most upper respiratory, sinus, ear, and gastrointestinal infections, to name a few—can be safely and effectively resolved without antibiotics. Homeopathic physicians routinely treat all of these conditions and many others, including simple urinary tract infections and skin and nail infections, with alternative medicines that do not suppress the immune system or promote bacterial resistance. First-line therapeutic intervention, in most cases, should utilize safe and effective modalities that strengthen the immune system and restore a healthy microbiome in the body. Adequate sleep, moderate sunlight, a proper diet free of refined sugars and starches, probiotics, and naturally fermented foods can all help support the immune function and are a good place to start. There is no doubt that antibiotics can save lives in critical cases. But we’d be wise to limit their use to those situations that truly require their use. Ronald D. Whitmont, M.D., is a classical homeopathic physician who practices in New York and a clinical assistant professor of family and community medicine at New York Medical College. His website is HomeopathicMD.com.